The staff at Irving Middle School believes all students have the potential to be successful in and out of the classroom. We recognize that the use of controlled substances and untreated mental health issues lead to inappropriate and self-destructive behaviors, which then affect a student’s development and academic success. Our team will work to identify these students, provide support and interventions to them and their family, and help them to connect with a supporting agency if necessary. What is the purpose of School Community Intervention Program (SCIP)? To identify students exhibiting high-risk behaviors which interfere with their ability to learn. These behaviors may or may not be related to the use of alcohol and/or other drugs. How does SCIP assist students? IDENTIFICATION of students who exhibit problematic behavior. INTERVENTION with the student, parents, and a school representative from the SCIP team to describe problem behavior(s) and to seek solutions and explore options which will increase the student’s chance of being successful in school. REFERRAL to a community agency tailored to youth and families. STUDENT SUPPORT to assist students in the school environment. The goal of individual and group support is to aid the recovery process of the student. 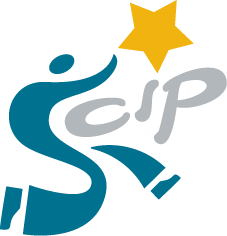 Teachers, students, administrators, friends, and parents refer students to the SCIP team. Once a referral is made, teachers are asked to observe behaviors in class and note how students are doing academically. Information from teachers is then forwarded to the SCIP team. After all of the information has been received, the team decides whether or not there is a measurable problem and what action should be taken. In some instances the situation is monitored and in others, parents are contacted. If behavior indicates the possibility of involvement with alcohol and/or other drugs, the intervention process is used to encourage students and their parents to obtain a screening at a community agency. This entry was posted in Uncategorized on September 5, 2014 by Joseph Lefler.